Books open up so many questions! Last week we did the book workshop. The workshop was very intense. I think it was a good experience for kids to think about the food. Children had drawn their favorite foods and then the ingredients separately. I asked children many questions how food is made and where the ingredients for the food come from. Children had many questions and it was interesting to see how they are figuring out the food chain. Kristina Laine and her 4-5 year old artists at Kalinka Päiväkoti in Helsinki, Finland are making and sharing art with Evelyn Müürsepp and her 5-7 year old artists in Mooste Preschool in Mooste, Estonia. I send you a few pictures from our march-project. It is not as you told us to do, because we had such a rainy weather and we could not go out and pick up some things from nature. So we talked about things we hear, when we are in different surroundings. In nature we hear birds, the rain, the trees and a lot of animals. In town we hear a lot of people going and talking, a lot of cars. When we are at home, in our bed, we hear the cars from the street, the family talking, the rain on the window. So you will see, it isvery interesting to see the pictures and you can imagine by yourself the noises. Hope you are fine and we wish you happy easter! Simone Zobl and her second graders from Evangelischen Volksschule am Karlsplatz in Vienna, Austria are making and sharing art with Aili Vassil and her group of second graders from Mooste Põhikool in Mooste, Estonia. Today we had a great pattern workshop. I had big magnifying glasses and apparently it was the most exiting thing. I instructed kids about the patterns, and they made things that they had seen through the magnifying glasses. For texture making we used simple color pencils so they are not that flashy. 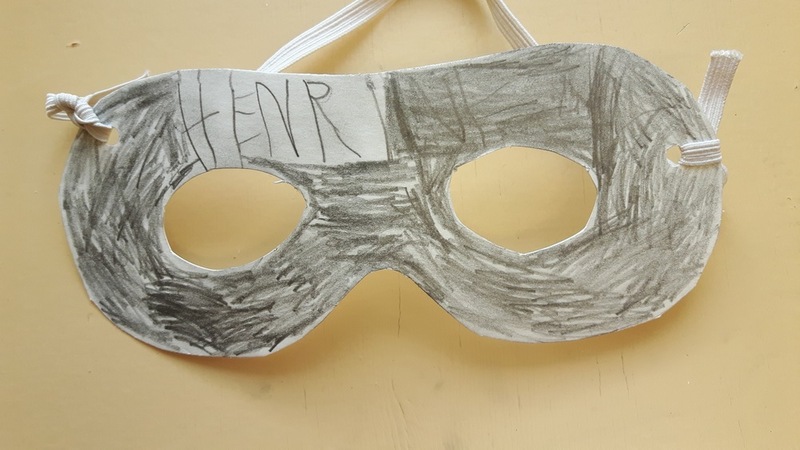 Kids were happy about the masks so I let them have it for a day. Tomorrow I am going to collect them and send to Estonia. Mozartkugel and much more from Vienna! The Viennese artists had a lot of fun making books about what they like to eat! It was fun! The kids made wonderful vehicles. I think they were very eager about it. We used color paper, glue, scissors and pencils. Many kids adapted the task to their ideas about what kind of vehicles they would like to make. There was even a human character- vehicle and a sweet princess carriage :). Some kids followed the instructions, while others improvised. I had a book about all kinds of transport and I showed it to everybody. clothing and the masks are completed soon. It was a great idea. The 8 year old artists from Mooste Põhikool in Mooste, Estonia are making and exchanging art with the 8 years from Evangelischen Volksschule am Karlsplatz in Vienna, Austria. At the beginning children made a variety of exercises. For example, how can a pencil dot and line can make art. 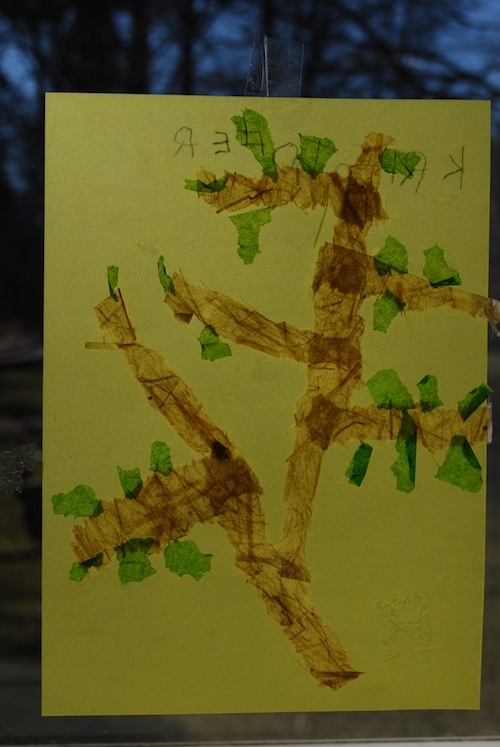 Then using those skills, we drew nature we would we want to see by looking out the window in Mooste. Vienna in autumn looks like a magical place to be! In Vienna, we had autumn when we were doing the pictures. Trees have beautiful colours, apples are falling down, it is getting cold. So the kids made pictures from our season outside. They had a lot of good and funny ideas to show this! :) You will see it in the pictures! 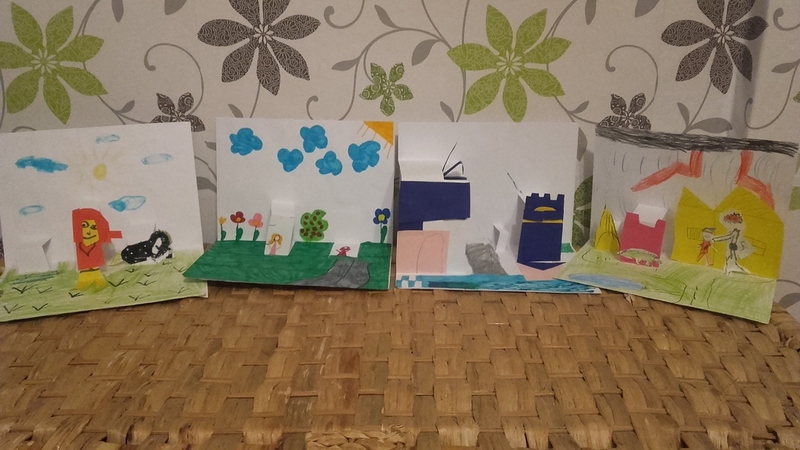 The 7-8 year old artists from Evangelischen Volksschule am Karlsplatz in Vienna, Austria are making and exchanging art with the 8 years from Mooste Põhikool in Mooste, Estonia. Our post is on the way to Estland! It was really funny to see what children are producing with the new theme. There are different places where they feel good. Some of them love to be in nature or with animals, some of them only love to be at home. Simone Zobl and her group of second graders from Evangelischen Volksschule am Karlsplatz in Vienna, Austria are making and sharing art with Aili Vassil and her group of second graders from Mooste Põhikool in Mooste, Estonia. Our kids liked the October project immediately. Everyone had fun and the ideas came very quickly. It was interesting to create a world of Pop-up for our friend! Aili Vassil and her group of second graders from Mooste Põhikool in Mooste, Estonia are making and sharing art with the second graders from Evangelischen Volksschule am Karlsplatz in Vienna, Austria.